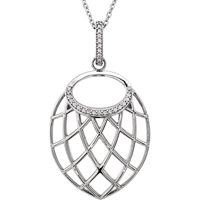 This elegant diamond pendant is suspended on a chain, with a total diamond carat weight of 0.20 carat. 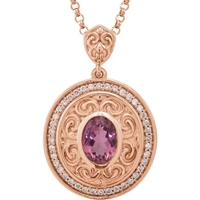 This vibrant diamond pendant is suspended on a chain, with a total diamond carat weight of 0.06 carat. 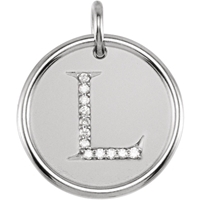 This elegant diamond pendant is suspended on a chain, with a total diamond carat weight of 0.05 carat. 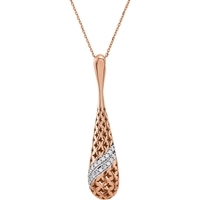 This eyecatching diamond pendant is suspended on a chain, with a total diamond carat weight of 0.33 carat. This elegant diamond pendant is suspended on a chain, with a total diamond carat weight of 0.13 carat. 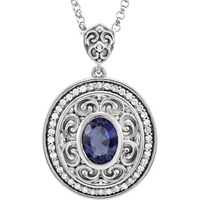 Stones structure: Iolite & Diamond. This vibrant diamond pendant is suspended on a chain, with a total diamond carat weight of 0.33 carat. This vibrant diamond pendant is suspended on a chain, with a total diamond carat weight of 0.10 carat. 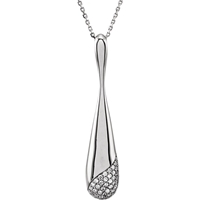 This elegant diamond pendant is suspended on a chain, with a total diamond carat weight of 0.33 carat. This timeless diamond pendant is suspended on a chain, with a total diamond carat weight of 0.33 carat. This vibrant diamond pendant is suspended on a chain, with a total diamond carat weight of 1.33 carat. 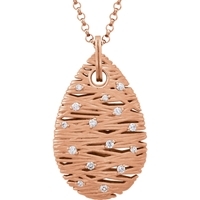 This diamond pendant is suspended on a chain, with a total diamond carat weight of 0.01 carat. Stones structure: Brazilian Garnet & Diamond. This timeless diamond pendant is suspended on a chain, with a total diamond carat weight of 0.20 carat. Stones structure: Black & White Diamond. 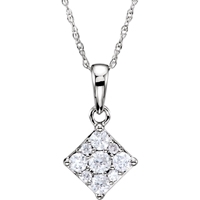 This timeless diamond pendant is suspended on a chain, with a total diamond carat weight of 0.25 carat. This vibrant diamond pendant is suspended on a chain, with a total diamond carat weight of 0.75 carat. Stones structure: Emerald & Diamond. Stones structure: Pink Tourmaline & Diamond. 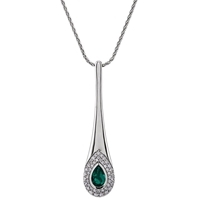 This vibrant diamond pendant is suspended on a chain, with a total diamond carat weight of 0.25 carat. 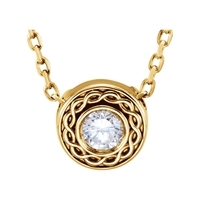 This timeless diamond pendant is suspended on a chain, with a total diamond carat weight of 0.06 carat. Diamonds. Shiny, timeless and ever elegant, they sparkle mischievously as they adorn our different types of jewellery – from rings, to bracelets to earring to necklaces. Diamonds can be worn in every possible way, and they match practically everything. No wonder they are so popular. Diamond necklaces do diamonds a great service. While diamonds on earrings can hide behind your hair, and diamond rings or bracelets may not always stand out, necklaces display diamonds in a more prominent manner. 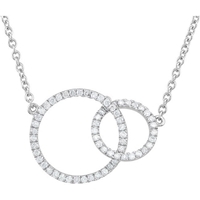 Thinking of purchasing a pretty, sparkly diamond necklace? Continue reading for tips on how to choose the perfect one for you. 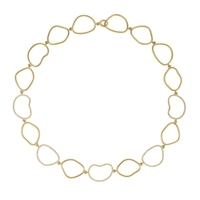 Choosing a Diamond Necklace: Are You the Pendant or the Choker Type? 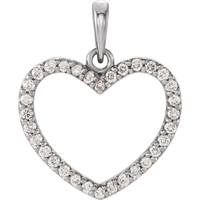 Diamond pendants: pendants are small setting containing a diamond (or several diamonds) that hangs from a chain. 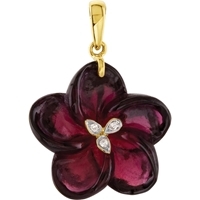 Pendants can be simple or intricate, and include a variety of shapes, styles and sizes. 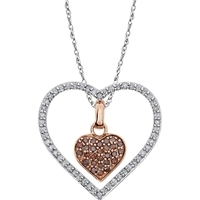 One popular type of pendant is the heart pendant – a heart shaped pendant filled with multiple stones, which is playful and romantic. Chokers and collars: chokers and collars are necklaces usually worn at very formal occasions, and accompany low cut dresses so they can stand out better. They usually contain multiple stones. 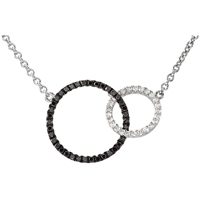 True diamond necklaces: contain diamonds all the way around the necklace, not just in a pendant hanging from them. Due to the number of stones they contain, they tend to be more expensive than the types of diamond necklaces. They're very glittery and showy, and due to their price, they're usually only seen on celebrities and millionaires. Diamond necklaces sound expensive, but they don't have to be! You can find great deals on diamonds. If they're small, or are of lower quality, they tend to cost less. That doesn't mean they'll be any less beautiful!